Back in 2013, Natasha Baker launched SnapEDA to develop a search engine for electronics design content. 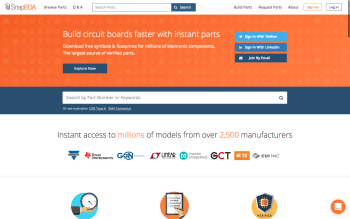 Today, the company’s library comprises handy models for millions of electronic components that engineers, students, and makers can use for circuit board design. 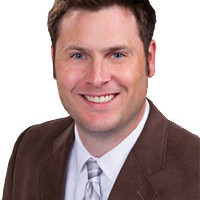 C. J. Abate: You have a background as an electronic design automation (EDA) engineer. What led you to launch SnapEDA in 2013? 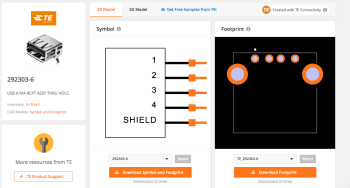 Natasha Baker: I created SnapEDA (Figure 1) to solve the challenges I faced when designing circuit boards. One day, I was designing a simple circuit board for an upcoming trade show in California. It was a standard reference design, so I figured it would be a breeze to complete. Yet, that was not the case. As I moved from capture to layout, I was amazed — and frustrated — that the content I needed did not exist in my circuit board design software. I spent days creating the symbols, simulation models, and footprints for each component in my design from scratch. At that moment, it dawned on me that engineers all over the world faced the same challenges. They were spending days recreating content over and over again — time that could be better spent on innovating better products. I wondered why there wasn’t a “Google” for electronics, a place where engineers could go to find trusted data for their designs. When I got home from the trade show, I quit my job to start building SnapEDA — the first search engine for electronics design content. by searching by part name or keyword. C. J.: Tell us more about SnapEDA and your business model. Natasha: It's a website that provides libraries for circuit board design. With SnapEDA, engineers can drag-and-drop symbols, footprints, and 3-D models into their designs (Figure 2). This allows them to focus on building great products — rather than building libraries. Libraries are extremely important to electronics engineers because, unlike software, electronics get manufactured. This means that libraries need to be accurate. Because of this, in addition to the actual libraries, we provide an automated verification tool. 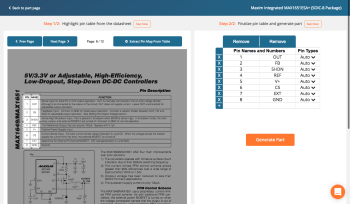 It answers important questions like: “Is this footprint based on IPC standards or datasheet recommendations?” And: “Is the origin properly defined for the pick-and-place machine?” Our library is completely free, which raised eyebrows in the industry when we launched. But as an engineer, it was important to me that we democratize access to this content. Big companies have dedicated librarians to make symbols and footprints. It's the ones who don't (and generally, with smaller budgets) who benefit most from our platform. Making it free also just made more sense. As engineers, we (or our companies) are ultimately buying the components, so should we have to pay for the footprint too? As a result, our platform is free for engineers. We make money by helping component vendors gain design wins on SnapEDA, and on other websites. With over 120,000 registered engineers around the world and growing fast, we've become a go-to place for component discovery and design-in. the symbol and footprint for free download. 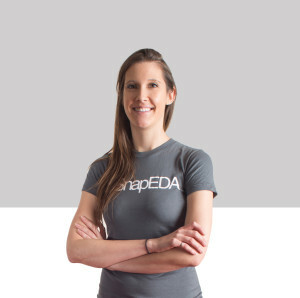 C. J.: What about the SnapEDA team? How many full-time employees? Tell us about them. Natasha: We have 14 full-time team members. Among them, 13 hold an engineering degree, and 12 hold a degree in computer or electrical engineering. Building an engineering-first company was critical, because we’re removing barriers in a complex design flow. Our team is spread across Silicon Valley (Figure 3), Colombia, and we also have a few team members in Europe and Asia. This allows us to keep up with our popular 24-hour request service and provides interesting cultural exchanges! Figure 3: Inside SnapEDA's San Francisco office. C. J.: SnapEDA provides a library of CAD files. With which design tools do your CAD files work? Natasha: Our platform is compatible with Altium, Cadence OrCad and Allegro, Mentor PADS, KiCad, Eagle, PCB123, and Proteus. C. J.: Tell us about the parts in your database. How many parts? How do you keep the database up to date? Natasha: Since we launched over five years ago, our library has grown to include models for millions of electronic components. During this time, we’ve also amassed data on the most in-demand components, allowing us to accurately predict market traction. When we work with component vendors, we use this data to help them take a targeted and efficient approach to CAD model creation. We keep our library up-to-date by working with component vendors and distributors, and by analyzing our vast usage data. C. J.: What is InstaBuild? Natasha: InstaBuild is a free computer-vision based symbol creation tool (Figure 4). We launched it last November. Although it’s still in beta, it has exceeded our expectations — this summer our database actually hit the size limit due to engineers creating so many symbols. Luckily, we upgraded the database quickly so engineers could keep using it! C. J.: What makes SnapEDA unique compared to other solutions? Natasha: Because we’re based in Silicon Valley, we’re definitely bringing a Silicon Valley-like approach to the problem. That being said, it’s really something that I’d encourage engineers to experience firsthand, so they can see how we’re bringing a fresh approach. C. J.: Many of our readers are full-time engineers with ideas for their own startups. Any advice for an engineer thinking of leaving his or her job to launch a company? Natasha: Yes! As engineers, we are natural inventors and problem-solvers, which means we have the ideal skill set to start a company. If you have an idea you feel strongly about, build a prototype and give it a try! You can read the entire interview in Elektor Business 6/2018, which is slated for publication in November 2018.